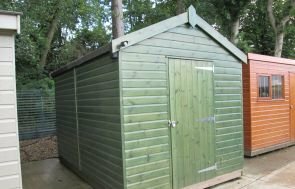 Measuring 1.8 x 3.0m, the building has an apex roof covered with our durable, heat-bonded, heavy-duty felt. Our other roof options include grey slate composite tiles, naturally sympathetic cedar shingles or red terracotta composite tiles. 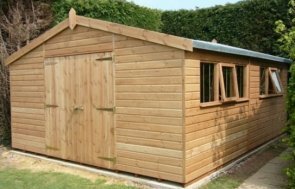 The exterior is clad with smooth shiplap for a contemporary finish which has been coated in our Light Oak preservative stain, allowing the natural beauty of the wood to show through. The customer also worked with our friendly experts to ensure that the door met their individual requirements, which meant that one door needed to be sufficiently smaller than the other. 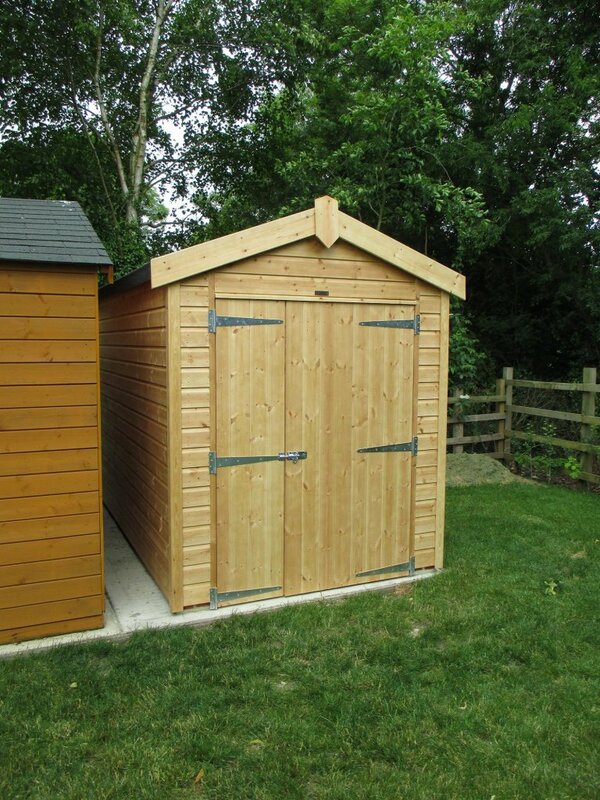 If this Superior Shed has made you think about getting your own dream garden shed, get in touch with us on 01760 444229 to speak to an expert about your own individual requirements, or instead visit your nearest show site to view a range of different buildings, locate your nearest here.